This is a very rare program to a 1983 international tournament that featured the Greece National Team and the University of North Carolina named the "Dimitria" tournament. The original program features words from the tournament president, schedule events and rosters of teams playing in the tournament. 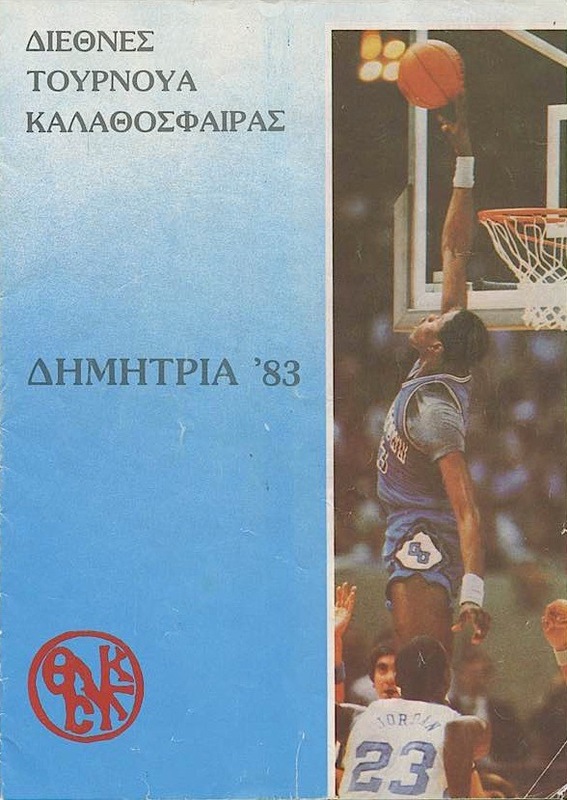 It is in VG-EX condition and is written in Greek.